An unconventional mélange of algae, eucalyptus and bioenergy with carbon capture and storage appears to be a quirky ecological recipe. But, scientists from Cornell University, Duke University, and the University of Hawaii at Hilo have an idea that could use that recipe to help power and provide food protein to large regions of the world - and simultaneously remove carbon dioxide from Earth's atmosphere. Based on an idea first conceptualized by co-author Ian Archibald of Cinglas Ltd., Chester, England, the scientists call the new integrated system ABECCS, or algae bioenergy with carbon capture and storage. The system can act as a carbon dioxide sink while also generating food and electricity. For example, a 7,000-acre ABECCS facility can yield as much protein as soybeans produced on the same land footprint, while simultaneously generating 17 million kilowatt hours of electricity and sequestering 30,000 tons of carbon dioxide per year. The ABECCS system's economic viability depends on the value of the nutritional products being produced and the price of carbon. 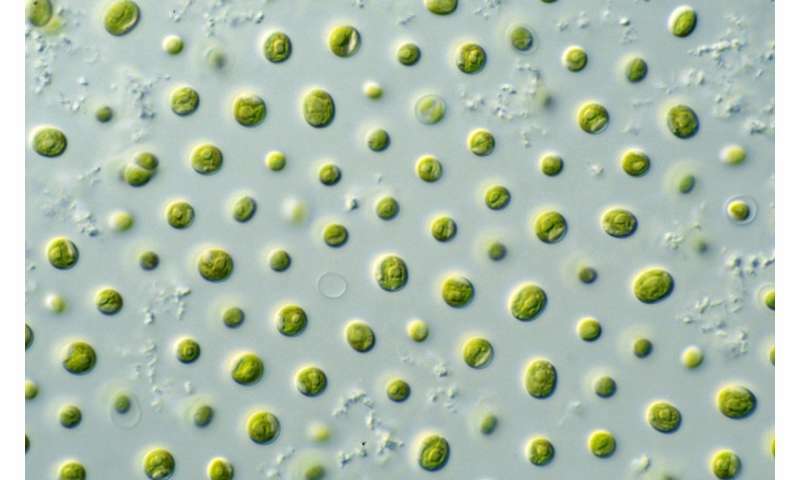 Even without a price on carbon, microalgae production - in a fish-farming, aquacultural sense - is commercially viable today if the algae are priced as a fishmeal replacement in aquafeeds. "In the future, as the price of carbon increases, ABECCS has the potential to reduce carbon dioxide in the atmosphere in an environmentally sustainable and profitable way," said Greene, who is a fellow at Cornell's Atkinson Center for a Sustainable Future.